Hi everyone and happy, happy Spring! This is Liz. 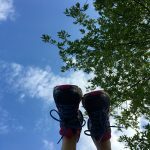 I’m excited to be sharing this post that has been very present in my work with women struggling with their body image. I hope it resonates with you too. I know this example is going from one extreme to the next, but perhaps you find yourself someone in between. There’s a large spectrum of body dissatisfaction so your experience might not be this black and white, but that doesn’t mean you don’t need just as much support. I feel such deep empathy for this space. I know what it is like to be so focused on our bodies that it feels like nothing else we do matters. But when we focus on the size of our thighs as opposed to the size of our hearts we miss out on what life has to offer and equally as sad, the world misses out on what we have to offer it! All of our creativity, love, kindness, and unique gifts are not shared with the world and those around us, which is such a loss. In my opinion, true healing of our body image is actually not about loving how our bodies look in the way it is often portrayed on social media. Although I love and support body positivity and women genuinely proclaiming “I love my body! I feel beautiful!” I think that if this is our ultimate goal or our route to healing, it can often keep us stuck. Healing our relationship with our bodies and ultimately ourselves is actually about placing less value on our appearance. 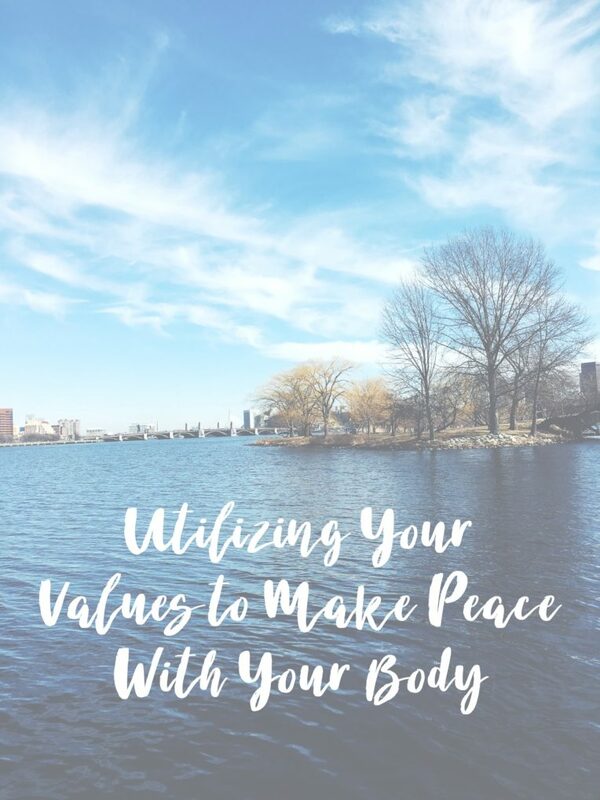 True body image work is about centering our lives around our core values and what deeply matters to us and remembering that our bodies are just our vehicles to live out these values in the world. Then when we go to sleep at night we can evaluate our days and how we perceive ourselves based on whether or not our actions are in alignment with our values. 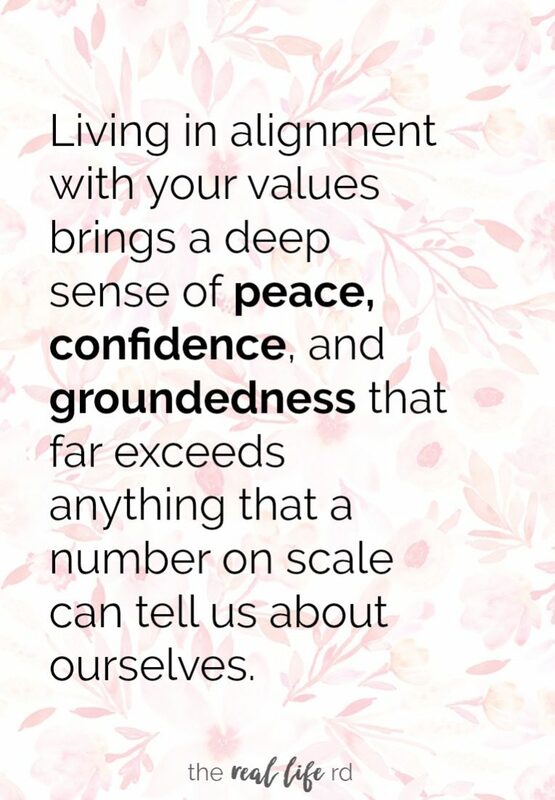 Living in alignment brings a deep sense of peace, confidence, and groundedness that far exceeds anything that a number on scale can tell us about ourselves. You may be saying, “Cool Liz, that sounds great but it also sounds really big and vague and, like, how do I do it? ?” I have a few quick tips to guide you in intentionally choosing to focus your every day thoughts and behaviors on your values and begin living a life outside of the body dissatisfaction prison. A practice I ask almost every one of the women I work with to do is a values assessment. In this culture we are rewarded for accomplishing goals – did we get good grades, go to college, get a new job, get married, etc. These are all “tangible things we can check off a list” however, values are not so tangible. Values are like a direction we are moving in, a destination we never meet. For example, we are going north (towards our value of connection) and on that path we might pass some landmarks like going to a friend’s birthday even though we aren’t feeling great in our body, having children, etc. But even after we pass those landmarks we stay on the road going north towards the destination, our value of connection, because it is what truly matters to us and guides our life. Because we don’t spend as much time talking about our values as we do our goals, we might not know what our personal value set is so I absolutely encourage you to explore this. There are lots of great free resources online to assesses our values, this is one of my favorites. I have also implemented a practice into my daily life this year that I teach many of the women I work with too. 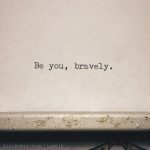 At the start of each day, as I am driving to work, I set a short intention out loud about which of my values I want to focus on that day (yes, people driving on the road think I’m talking to myself…. For example, this morning I said, “today I want to find enjoyment throughout the day, express kindness to myself and others, and be present with gratitude.” Then when I get to work I write myself a post-it note and place it on my desk next to my computer so that I see it throughout the day as a gentle reminder about what is important to me. The post-it note just says my values, “Kindness. Enjoyment. Gratitude.” As I am wrapping up in the evening, I look at the post-it and list out-loud the ways throughout the day in which I was joyful, kind, and grateful. And I make sure to note all the little things too! I was kind to the barista at the coffee shop, I was grateful for the heater in my car and my delicious bagel. I enjoyed laughing with one of my clients about iPhones autocorrecting our curse words. 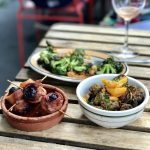 This practice has really helped me live a more intentional life on a daily basis and it has really helped me to live out my big values in small ways — and that feels so satisfying and nourishing to me. Women that I work with have shared that this practice has genuinely helped reduce their evaluations of themselves based on their bodies as well as how often they are even thinking about their bodies because they are living and enjoying their lives more fully aligned to their values. I hope that you give this a try too and remember that your values and what you have to offer the world is so much more important than the size of the vehicle you were given to do that! This post is FILLED with great information! Thank you so much for sharing this. I’m going to incorporate these strategies into my own life and hopefully introduce them to the people I work with. 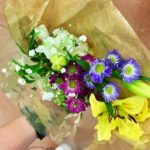 Body Image issues have been a re-occuring theme with the middle school-ers that I work with and I’m not always quite sure how to approach it (typical CBT strategies don’t seem to quite fit the bill). This is awesome, and something I’ve been thinking about a lot recently. Thank you! Thanks so much Alexandra! I am so glad it came at this time for you when it was already present…love when things align like that! This was awesome. Inspirational and practical – loved it. Thanks so much for sharing, Liz. You sound like an amazing person! Hi Bre! Thanks so much. I really hope you enjoy the values exercise and get a lot out of it. Love that you are going to give yourself the space and time to do that! We don’t get to think about this enough and its so so valuable in all areas of our life. Hi Rachel! Thanks so much. I think it can be so so helpful to think about our bodies as simply our vehicle to live out our values and our lives.. I am glad that seemed to resonate with you! Good luck with starting this practice! It’s so true that taking the emphasis on the outward appearance is FREEING. The less time I’ve spent in front of the mirror the more that verse about God seeing the heart and being a discerner of my heart has hit home. It’s so true that the inner woman is SOO much more than what we see on the outside of our bodies.